On the anniversary of the Oso landslide. "A landslide this week up near Darrington buried homes and killed an unknown number of people, possibly 100. The most likely cause is clearcutting above a known aquifer recharge zone. Bad logging practices, probably legal, killed families in their kitchens." The final toll was 43 dead and an entire neighborhood wiped from the map. Some human factors are blamed in reports about the tragedy. Irresponsible clearcutting is one of them. The top of the slide zone was clearcut 10 years earlier with a DNR permit. Story: "Causes of DeadlyWashington Mudslide Revealed in Scientific Report"
It's not the first time. 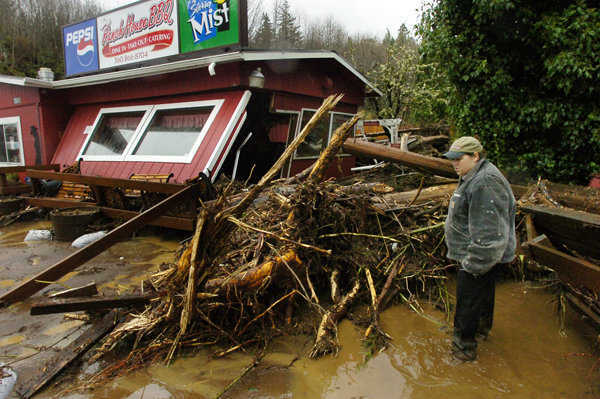 “Unreasonably dangerous and unlawful forest practices” on Rock Candy Mountain caused mudslides that destroyed Ranch House BBQ near Summit Lake in 2007. 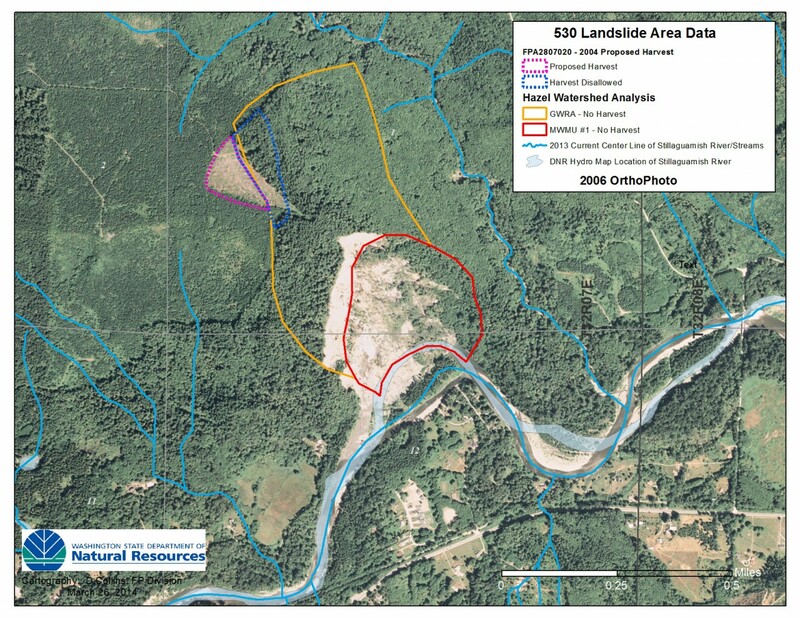 A report had advised DNR in 1995 that proposed logging activity would present a “moderate to severe” mudslide risk. Story: "State to pay RanchHouse"
Logging isn't bad. Without it, trees and habitat would be regularly removed by fire. Timber harvesting can be done responsibly, and we know what that looks like. Responsible logging isn't just about owls or carbon. The Oso casualties were a consequence of ignoring it. Likewise, development has to be done responsibly. An undeniable human factor in Oso was Snohomish County allowing homes to be built in a historical landslide path. The other factors are natural, including unprecedented rainfall. "Nova" produced a comprehensive TV documentary about the disaster and the geology of it. The forces behind deadly landslides—and the danger zones for the next big one. If you're planning a harvest, listen to your consulting forester and your DNR Stewardship Forester. If you're planning to build, review your geo-technical analysis with your engineer and listen to their advice. Make your own judgment. Just because a practice is allowable doesn't make it OK. You might be the one left holding the bag when the mud hits the fan. Even if you can shift blame to the state, don't count on legal settlements to cover your losses. "Washington law is clear that timber companies can be held responsible for their risky timber practices," writes Tacoma attorney Darrell Cochran, who represented the Ranch House BBQ in its suit against DNR. But after legal fees and other related costs, Ranch House BBQ's settlement check from DNR didn't come close to covering everything they lost. 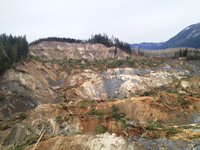 Landslide photo at top of blog post: "Oso Mudslide 22 March 2014 Mountain view" by U.S. Navy.